Enjoy special StoryTime in Harriett’s KidsTown Theatre featuring some of Dr. Seuss’ most-loved stories, Seusstivities like ‘Building Seussville,’ Seuss crafts, Seuss games and more. Seuss Days activities are included with general admission which is free for Orlando Science Center Members. Non-member admission is $20.95 for adults, $18.95 for seniors and students, and $14.95 for children ages 3–11. If you have an Access Florida EBT card with your name on it and a matching form of photo ID, please show it at the admissions desk to receive $3 admission per person for up to six individuals. 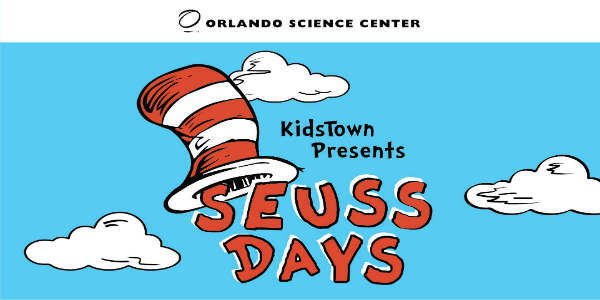 For more information, please call 407-514-2000 or visit osc.org/seuss-days.